K. Sage Fahimi | Littler Mendelson P.C. 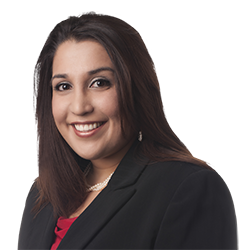 As an accomplished litigator, Khatereh Sage Fahimi defends her clients’ interests in all aspects of employment law. In particular, she possesses a deep understanding of California wage and hour law and the legal issues involving California’s Private Attorneys General Act (PAGA), class action lawsuits and other representative claims. Sage’s creative solutions clear away the confusion for company executives who seek to understand the nuances of California's complicated and ever expanding labor code and California specific oddities such as PAGA, which under the statute allows employees to sue for civil penalties once only recoverable by the government. She also works extensively with healthcare and hospitality employers, applying her knowledge of these industries to develop practical solutions that address the unique operational needs of her clients. Previously, Sage was a public information officer for the California Department of Transportation, where she honed her client-centric approach to problem solving. In working within public affairs, she learned that the best response required not only a vast base of institutional knowledge about the department, but the willingness to listen to people and precisely identify their concerns. Similarly, in advising and representing her clients today, Sage diligently works with her clients to make sure she understands their business model and goals so that she not only proposes a solution, but develops their solution. During law school, Sage was a Law School Admission Test (LSAT) instructor for Kaplan, the test preparation service. She provided private tutoring and taught classes, specializing in guidance for students with the logic portion of the test.